Just commissioned a beautiful new superyacht with a helicopter deck? Whether you're new to the aerial world or an experienced buyer, our guide will give you plenty of options for your next purchase. Leonardo AW169 Leonardo’s AW169 helicopter is expanding into new VIP markets. The versatile twin-engine, medium-weight helicopter puts safety first with a crash-resistant airframe, fuel system and seats. It has the latest touchscreen avionics and expansive glass for maximum visibility, plus one engine inoperative (OEI) capability. The cabin can carry five to eight passengers depending on layout and is as luxurious as any jet. There are separate cabin-cockpit air conditioning systems and a wireless cabin control and entertainment system. The variable speed main rotor feature improves efficiency in flight and keeps noise levels to a minimum. At 48 feet in length the AW169 isn't small but if you can find the space you'll be rewarded with a max range of 440 nautical miles. Expect to pay around $8.5 million. Just commissioned a beautiful new superyacht with a helicopter deck? Whether you're new to the aerial world or an experienced buyer, our guide will give you plenty of options for your next purchase. 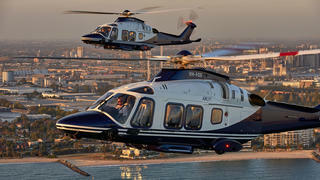 Leonardo’s AW169 helicopter is expanding into new VIP markets. The versatile twin-engine, medium-weight helicopter puts safety first with a crash-resistant airframe, fuel system and seats. It has the latest touchscreen avionics and expansive glass for maximum visibility, plus one engine inoperative (OEI) capability. 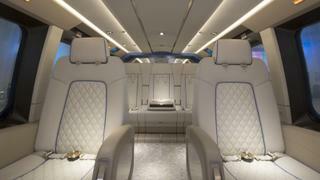 The cabin can carry five to eight passengers depending on layout and is as luxurious as any jet. There are separate cabin-cockpit air conditioning systems and a wireless cabin control and entertainment system. 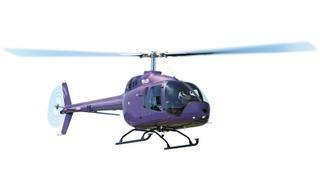 The variable speed main rotor feature improves efficiency in flight and keeps noise levels to a minimum. At 48 feet in length the AW169 isn't small but if you can find the space you'll be rewarded with a max range of 440 nautical miles. Expect to pay around $8.5 million. 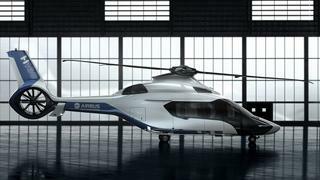 Lucky visitors to last June’s Paris Air Show saw the launch of Airbus’s new high-speed “Racer” demonstrator, set to be one of the fastest helicopters with speeds of 250mph. Codenamed Racer – for Rapid and Cost-Effective Rotorcraft – and developed as part of the European Union’s Clean Sky 2 initiative, the heli combines fixed wings with lateral rotors and a main rotor, enabling energy-efficient lift, propulsion and landing. It has an eco mode, an electrically powered start and stop mechanism of one engine in flight for fuel savings and increased range, while its impressive hybrid metallic-composite airframe is designed for low weight and cost efficiency. You’ll have to wait; the first flight takes place in 2020. Price TBC. Bell Helicopters recently announced the entry into flight of the 505 Jet Ranger X, a lightweight helicopter that offers speed and manoeuvrability well suited to tight landing spots. It has a fully integrated glass flight deck and Garmin G1000H avionics suite with twin 10.4in LCD screens, which makes for enjoyable, safe piloting. The sleek Italian-designed cabin can carry up to four passengers or be configured for cargo by removing the quick-disconnect rear cabin seats or co-pilot seat. The flat floor cabin design and large rectangular baggage compartment allows for plenty of onboard luggage. If you’re after something nippy and practical, it’s a great choice. You'll pay around $1 million. Despite a pedigree that dates back to the original AW109, when the company was known as AugustaWestland, the twin-engined AW109 GrandNew still looks fresh and purposeful. Capable of carrying up to six passengers in a quiet cabin with luxurious seating that can be arranged in various configurations, it has a range of 460 nautical miles, an altitude ceiling of 16,000 feet and a 180mph cruising ability that’s made possible by its drag-reducing retractable undercarriage. But at 42 feet in length, it’s more suited to gigayachts than mere superyachts, but all that fuselage area does make the ideal blank canvas for an eye-catching paint job. From $6.5 million. The first of Airbus' super-luxe H175 VIP helicopters was delivered in 2016 with Arsenal football club shareholder Alisher Usmanov reportedly installing one on board 156 metre Lürssen Dilbar. The luxury helicopter can seat eight and has a customisable interior by Pegasus Design meant to rival the finest investment-worthy private jets. Dimmable panoramic windows, mood lighting, TV screens and WiFi all come as standard in the soundproofed cabin and, while Airbus have not disclosed an exact price, the H175 helicopter is thought to be in the range of $20-25 million. The first of Airbus' super-luxe H175 VIP helicopters was delivered in 2016 with Arsenal football club shareholder Alisher Usmanov reportedly installing one on board 156 metre LürssenDilbar. The luxury helicopter can seat eight and has a customisable interior by Pegasus Design meant to rival the finest investment-worthy private jets. Dimmable panoramic windows, mood lighting, TV screens and WiFi all come as standard in the soundproofed cabin and, while Airbus have not disclosed an exact price, the H175 helicopter is thought to be in the range of $20-25 million. 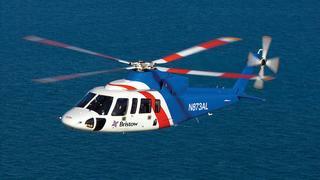 If you have a large family (or lots of friends) the commercial S-76C could be for you. Capable of carrying up to 14 people, it is powered by twin turboshaft engines and even has retractable landing gear. A new one will set you back upwards of $13 million. 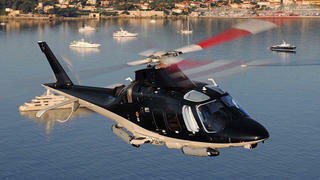 If you want to be at the cutting edge of helicopter design, put your name down for the recently unveiled H160. 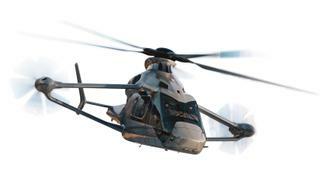 It features a fully composite airframe, twin Turbomeca Arrano turboshafts and a shrouded tail rotor for silent travel. It will carry 12 passengers and cruise at 185mph for 500 miles. First deliveries are due in 2019, POA. 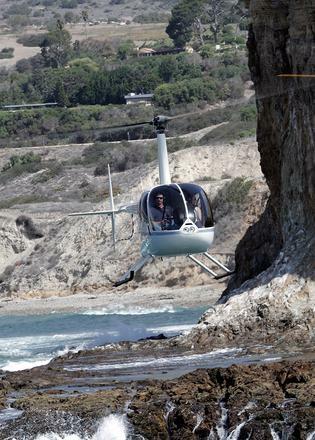 One of the most popular full-sized, entry level helicopters – almost 6,000 have been sold. Powered by a single six-cylinder piston engine, it carries four people, cruises at 135mph, and has a range of 350 miles. In 1997 Jennifer Murray used one to become the first woman to circumnavigate the globe by heli. It costs from $375,000.